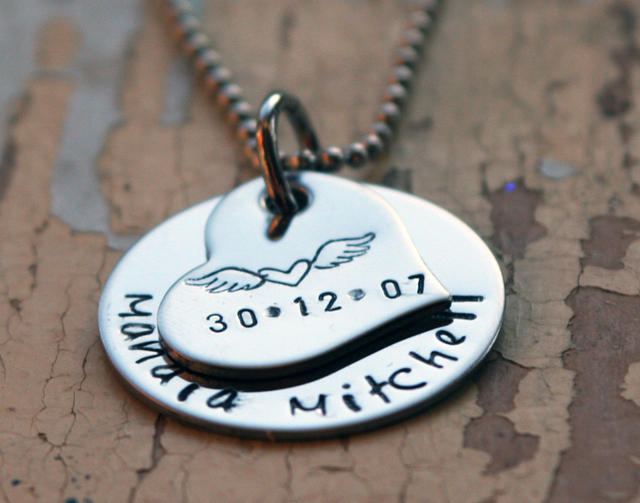 During Baby Loss Awareness week in October we held an Auction for a new project in the Waipa. We raised $2318 to go towards that, and look forward to progressing with this plan in 2019. It was Koby's 7th birthday on 18 November 18 - the numbers lining up this year. We were admitted to hospital on 11-11-11, he was born on 18-11-11, so 18-11-18 seemed significant somehow. 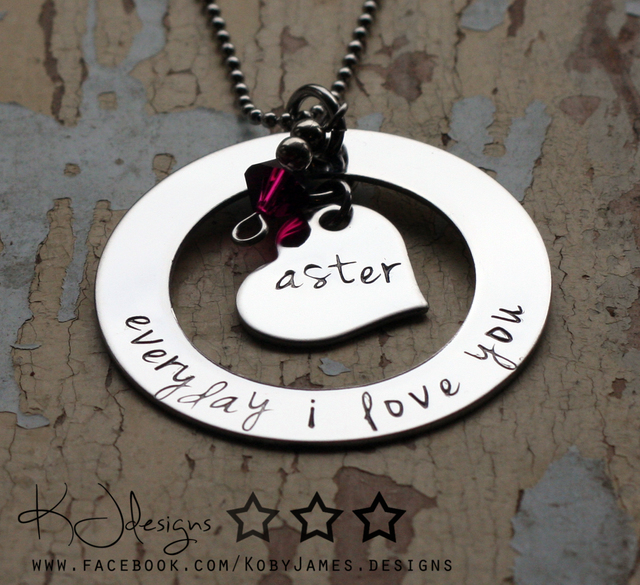 I created and donated 84 pendants for the 84 months that he has been gone. Hopefully they will bring some small comfort to the families who will receive them in 2019. Koby's 6th birthday. This year I created a few different designs. 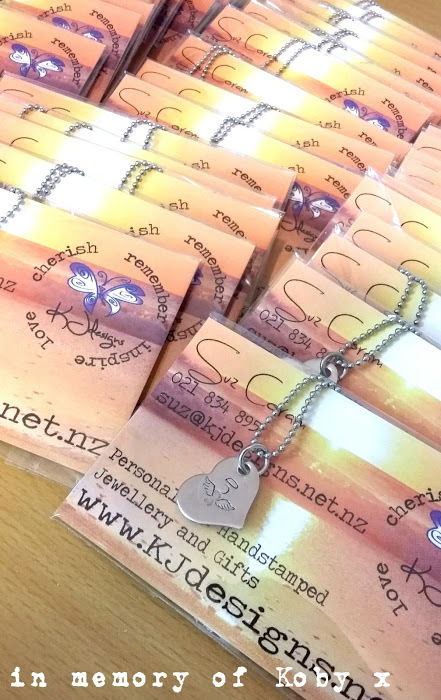 In total 72 pendants were created and donated to the Manaia Room at Waikato Hospital. 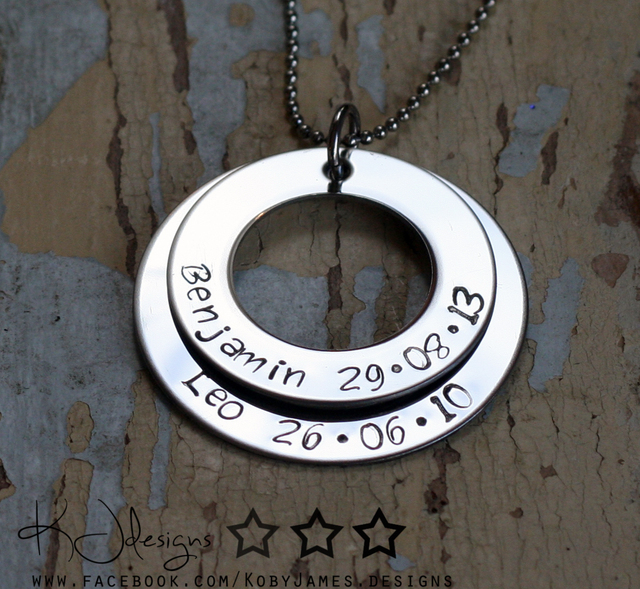 It is my hope that families who find themselves there, will find some small comfort in having a special pendant to symbolise their baby. 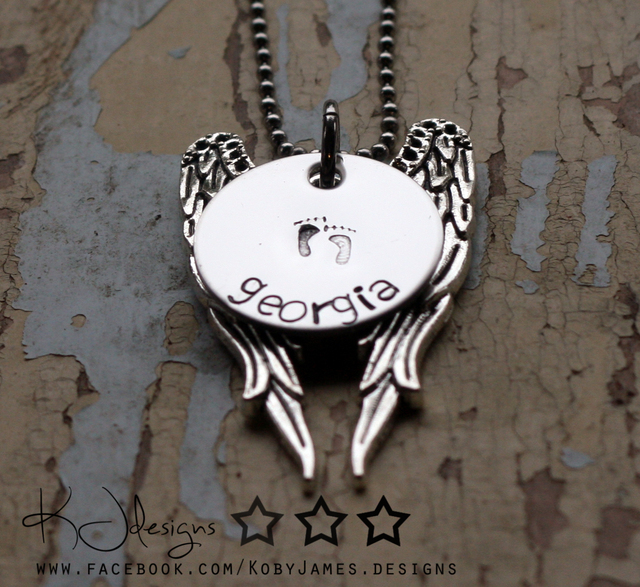 BABY LOSS AWARENESS Week KJdesigns will be holding an auction on our Facebook Page to raise funds for the renovations of a Bereavement Room in Auckland, and for Casting in Rotorua. Make sure you follow our Facebook page, we'll have a great selection of items up for grabs, all starting at $1 reserve. 2016... This year it will be Koby's 5th birthday. 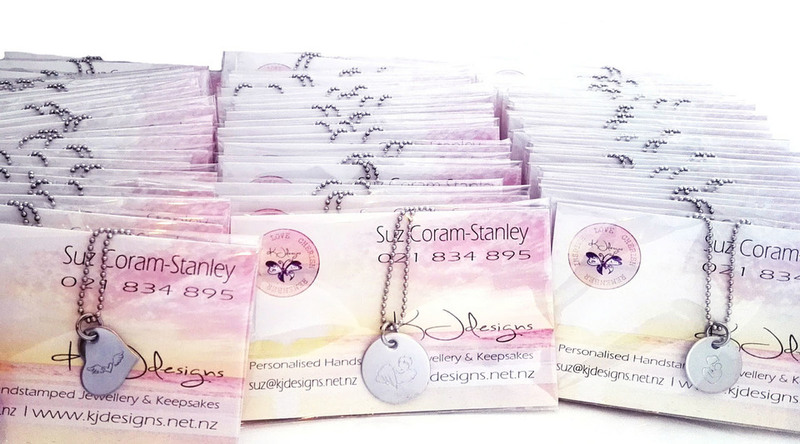 I have personally created 60 of these wee pendants that have already been donated to the Manaia Room at Waikato Hospital. We usually do this on his birthday (18/11) however this year we took them along to the official opening of Waikato's new Bereavement Room - the Manaia Room. The number is getting greater - 60 pendants - but it is still not a big enough number for everyone who will go through that room over the next 12 months. 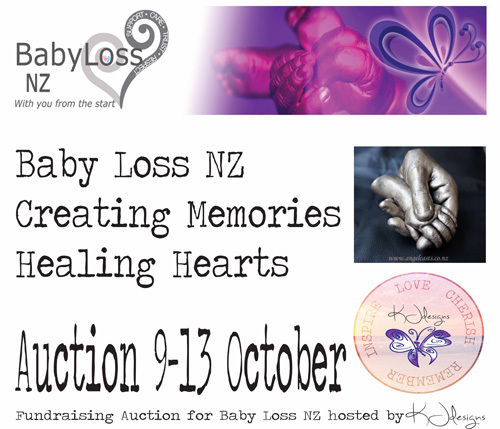 We held a Fundraising Auction (October 2016) for Baby Loss NZ and have raised just under $3000 to help with their valuable work. Thank you to all the businesses that were involved, who donated product and time, and all the wonderful people who visited our page, to comment, share and bid. 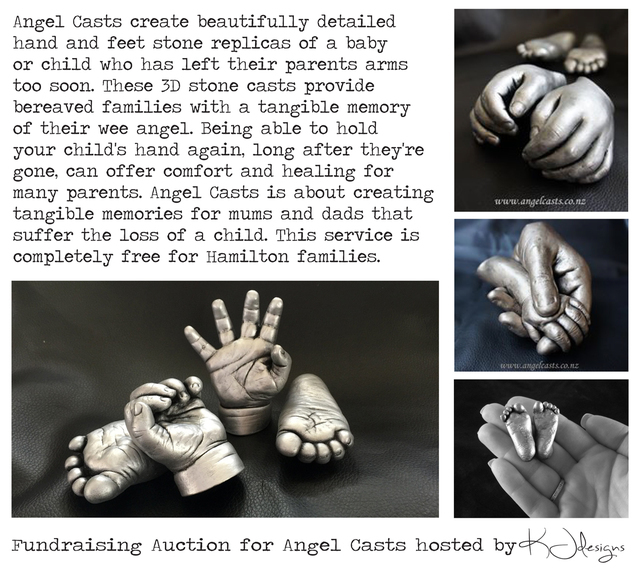 Our Fundraising Auction (May 2016) for Angel Casts has raised nearly $3500. Thank you to all the amazing businesses that donated and to all the people who bid, commented, shared and won! 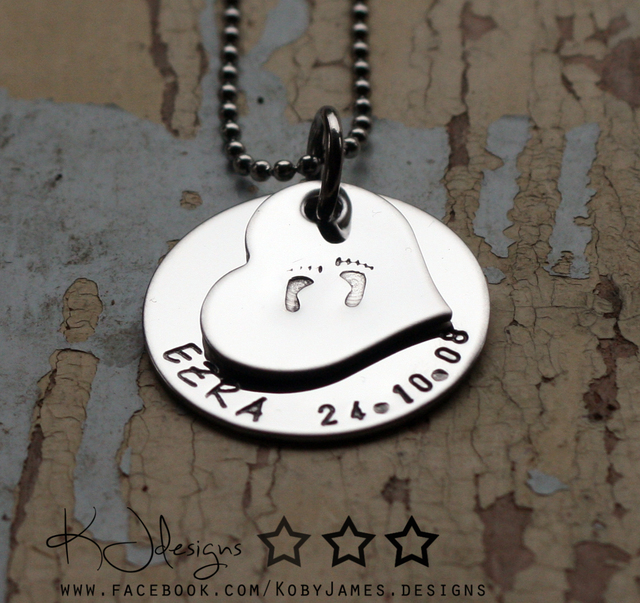 Every year I donate these little footprint pendants to Waikato Hospital in memory of Koby. 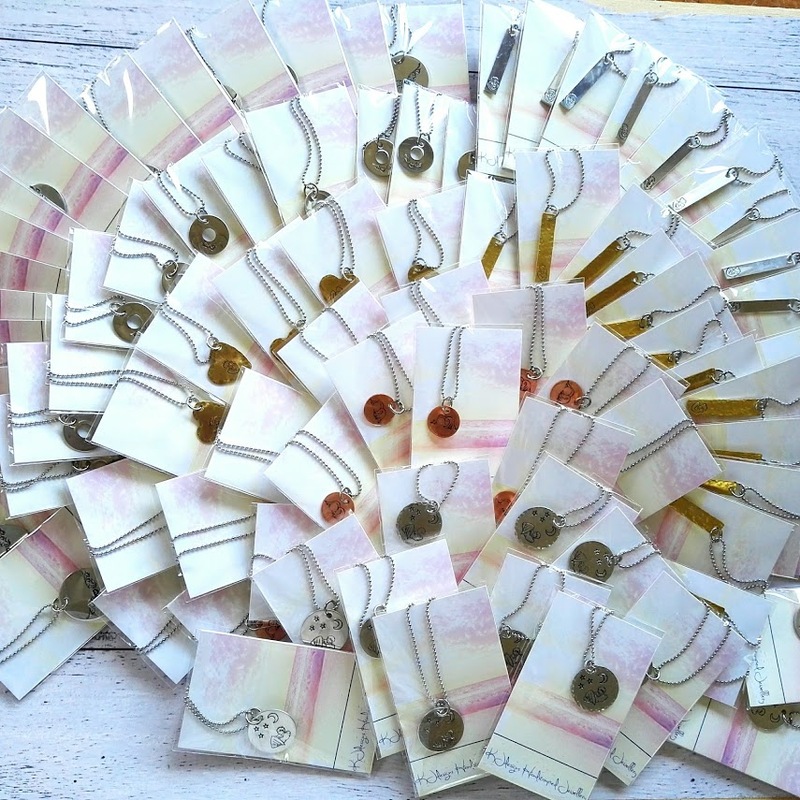 I like to donate one for every month he has been gone, 2015 saw a donation of 48 pendants. 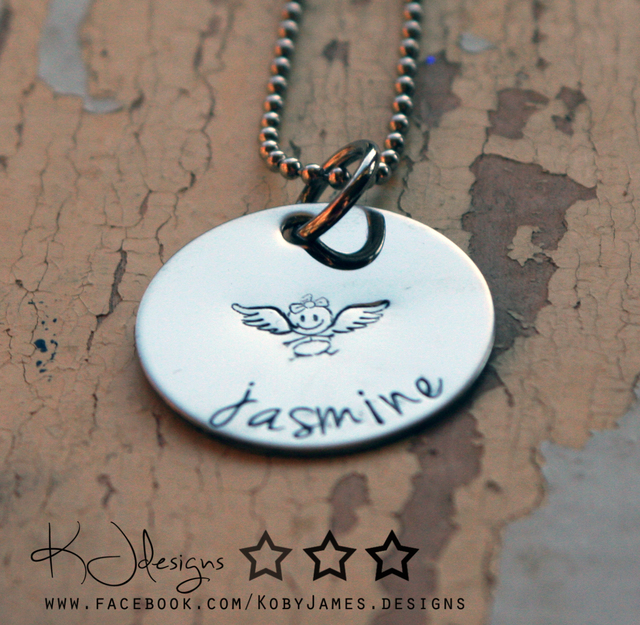 KJdesigns would like to offer others the chance to sponsor some pendants, to be donated to a hospital (or Sands group) of their choice, in their babies name. 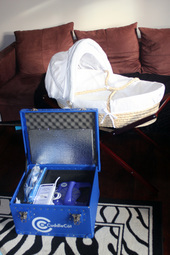 Cuddle Cots for Rotorua, Waikato and throughout New Zealand. 2015 : In early 2015 we helped to fundraise for cuddles cots for Rotorua and Waikato Hospital. This was driven by "One More Cuddle"
Rotorua's Cuddle Cot was donated in memory of Luka Pixie and Waikato's Cuddle Cot was donated in memory of Koby. The Cuddle Cots were both delivered to their respective hospitals on 20 May 2015. Click the image to read the article in Waikato Times regarding Waikato's Cuddle Cot. Was an emotional afternoon, but an amazing gift to be able to give to families who will unfortunately need to use it in the future. July 2015 : KJdesigns hosted another fundraising auction which raised over $4000 to help "A Cuddle To Remember" donate TWO Cuddle Cots to Auckland. These are also now available for use when needed. 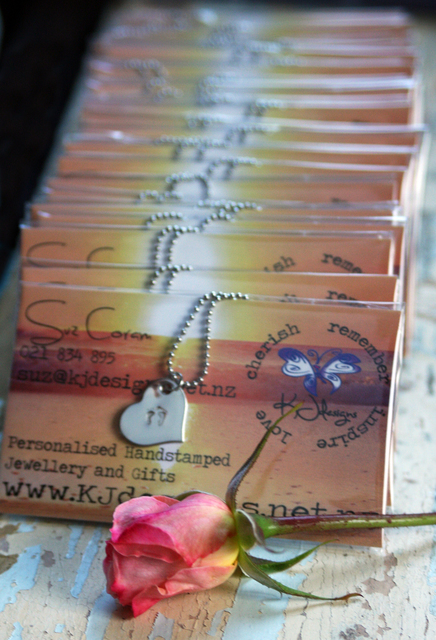 October 2015 : KJdesigns hosted a small fundraising auction for Baby Loss Awareness week were we raised nearly $1200, which was split between 3 groups fundraising for cots - Nelson, Lower Hutt and North Otago. 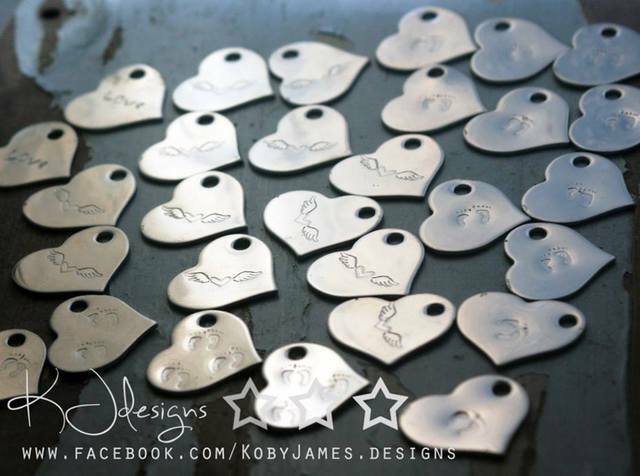 In 2014 for Koby's 3rd birthday KJdesigns donated 36 pendants to Sands Waikato to be included in their packs that go to bereaved families, in memory of Koby. 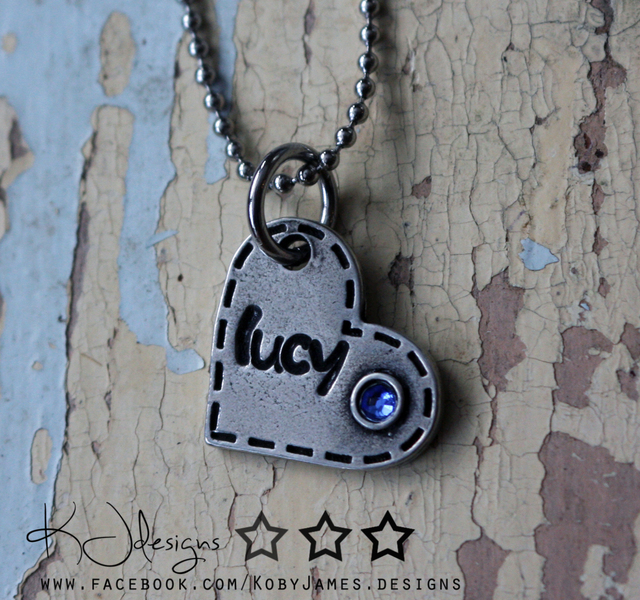 In 2015 for Kobys 4th birthday I donated 48 pendants to go to bereaved families. 48 months since we said goodbye. The Sands Conference 2015 has been held in Wellington. It is hosted by Sands Wellington. They had a Memory Table at the conference with ideas of things people can do to remember and celebrate their babies. 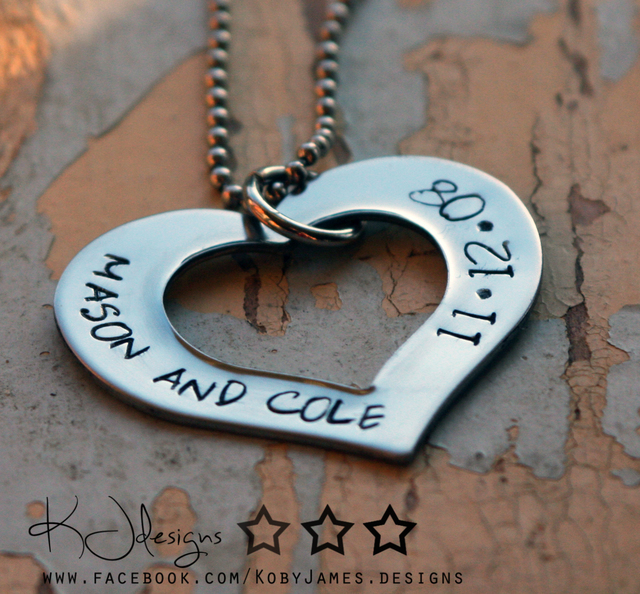 KJdesigns was asked if we would like to send a couple of pendants down as examples of things that people could get to honour their babies. I decided to make a pendant for each of the committee members who are working so hard to organise the Conference. 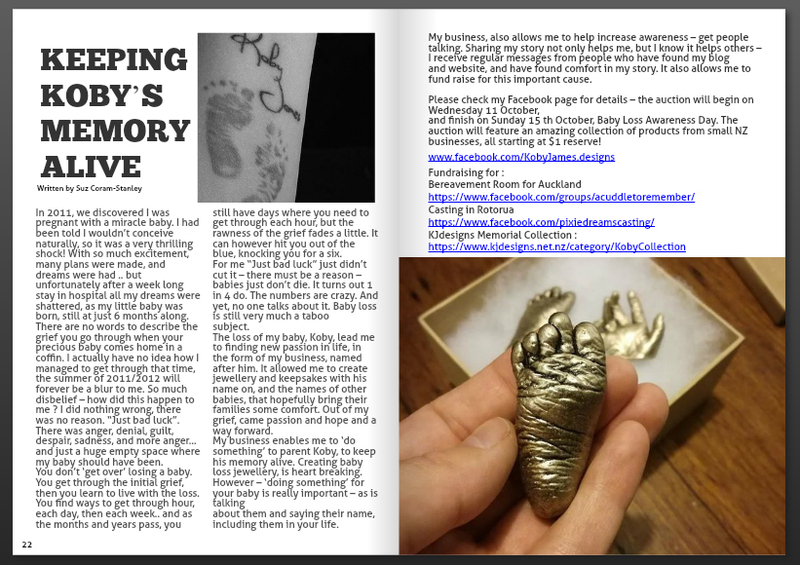 These memory boxes are put together by Sarah Craig who's inspiration is her daughter Skya-Ann. 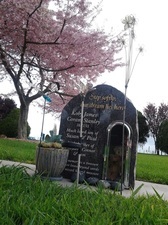 Sarah says : Heart Angel Memeory Boxes is my way to 'Pay it Forward' after the loss of our precious Heart Angel Skyla-Ann who passed away after two Open Heart Surgeries. Please click the image to visit Sarah's facebook page. 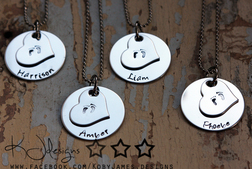 KJdesigns is proud (and very moved) to be donating these pendants to Sarah's boxes on an ongoing basis, and hopes they bring some small comfort to those who are holding their children in their hearts instead of their arms. 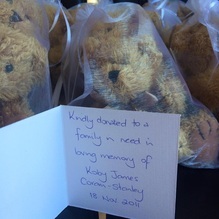 Clare and her family are "Kate's Bears"
Clare says : Kate's Bears was started after the tragic loss of our daughter, Kate Danielle Montgomerie, on the 24th June 2013. This is her legacy and gift to others. All our bears go out as a pair. The big bear symbolises the parents and the small one the baby. Many people bury the little one with the baby to take it on its journey and keep it safe and be a comfort, while the bigger matching bear stays at home in memory. We love being able to provide this little bit of comfort. 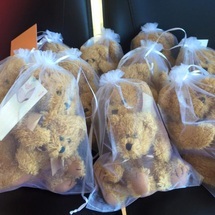 If you are interested in finding out more about Kate's Bears or in donating please click on any of the Kate's Bears images and you will be taken to their Facebook page.